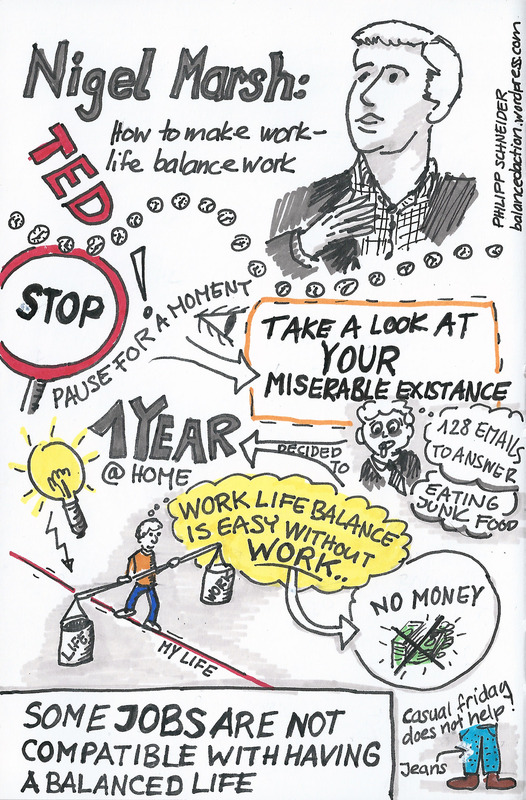 I just finished “The Sketchnote Handbook” by Mike Rohde and decided to practice my listening and sketching skills watching “Hot to make work-life balance work” by Nigel Marsh. Sketchnoting is like Yoga for people who like to draw: You are fully emerged in the experience, because mind and body are closely working together to create a personal, artistic expression. It’s a lot of fun and trains your mind and hand. Watch Nigel’s talk! 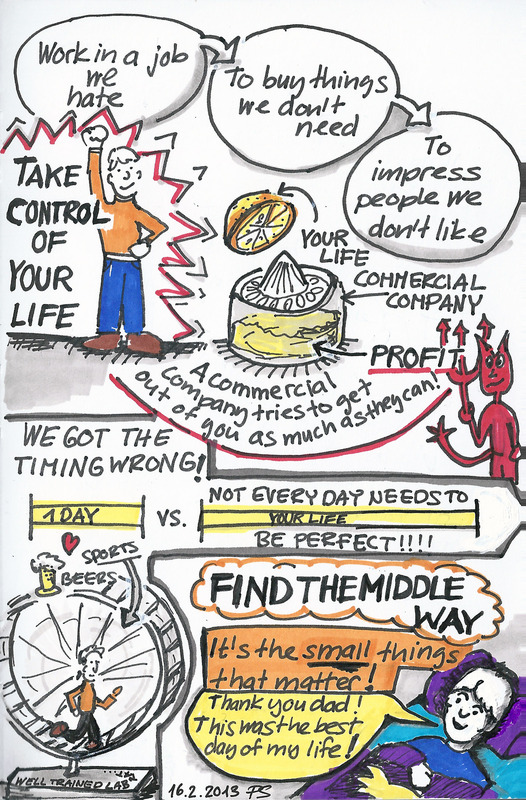 My sketchnote might make more sense to you afterwards. I saw it a year ago and still think it’s a brilliant take on work-life balance. You capture the ideas in concrete ways in your sketching well. Thank you! I like to combine text and drawings, because text allows to be precise, while drawings explain a concept as a whole.